Sip Champagne as you glide along Amsterdam’s UNESCO-listed canals on a private, 1.5-hour salon boat cruise. 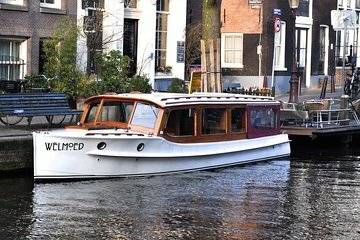 Board a classic, electric 1920s salon boat with a private captain at the helm, and enjoy the sophisticated atmosphere as you explore the delightful De Jordaan neighborhood. Cruise the flower-lined waterways past 17th-century merchants’ houses, bridges and churches; and hear about the area’s history and landmarks. Along the way, celebrate the occasion with a complimentary glass of Champagne and unlimited free drinks from the open bar. Choose from different departure times during the day. We enjoyed a elegant voyage on this magical little ship. Captain Reinhard was a friendly and knowledgeable skipper. The bubbly never stopped flowing start to finish. There are less expense ways to cruise the canals, but none are luxurious and unique. Highly recommended for a special occasion. Reinhard Spronk, the owner and operator of our cruise, was fantastic. He is very personable and informative. I would highly recommend his service. A most civil way to see the canals. I planned this cruise for the first day of our visit to Amsterdam. It was great. We arrived overnight from Los Angeles. When my cell became adapted to Amsterdam time.  I received a text message from Reinhard confirming our reservation. We met at the appointed time and location. What awaited my wife and I was a most enjoyable experience. A classic salon boat, carefully maintained by Captain Reinhard. I tall bearded man. A renaissance man. A careful sailor. We were given a thorough tour of the canals with a detailed history lesson. The champagne was cold, the cheese tasty, and the view wonderful. As we passed the many crowded canal cruises, we were happy to be enjoying our private tour. Wow...my family had a great time. Our captain was very informative. The beverages flowed freely and the snacks were just enough. We landed at 3:00, got to our flat by 4:30. We had enough time to settle Ina bit and find the boat. It was very easy and walkable from the Jordaan district. However be aware that although it is close to Anne Frank's house, the meeting place is on the other side of the canal. It was a great introduction to Amsterdam. Eine wunderbare Bootsfahrt mit Champagner und einem sehr sympathischen Kapitän. Sehr empfehlenswert! Absolutely, the best tour we had in Amsterdam. Uniformed guide who as much an art history major and an excellent boater. We had all the wine, champaign, cheese, olives, and great information you could ever desire. I would definitely do this tour again. What a pleasant way to see Amsterdam. Our captain was very knowledgeable about the city, European history and was very accommodating. We enjoyed champagne, white wine, strawberries and a platter of different cheeses. The boat itself is a gorgeous vintage 1930's wooden paneled sight in itself. Perfect for a romantic tour we did not know we would be the only ones or a small intimate group. It was one of the most memorable parts of our trip! Thank you Reinhard!